Please refer to our FEES Page for full details of fees due. The asking rent is payable monthly in advance and does not include the following fees to Tenants which may apply depending on your circumstances and the Property. 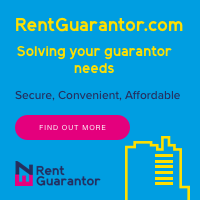 In addition to the above fees we require a payment of one month`s rent in advance plus one and a half months rent in advance as a deposit (less the holding deposit), as CLEARED funds on our account prior to signing any agreement in respect of the tenancy. If you have any questions regarding our fees, please do not hesitate to contact us. All deposits and rents are held in a separate Client Money Protection Scheme. Please refer to our FEES Page for details of fees due.
? 10% of Annual Rent (No VAT) for all introductions made by Granvilles leading to the completion of a tenancy/ lease assignment.
? ?% Commission subject to a minimum of ?3,000.00 (No VAT) on the successful completion of the sale. Please let us know if you have any questions to discuss regarding any of our fees. All fees are non-refundable.